Do you sometimes hear scratching noises coming from somewhere in the walls? Have you caught a glimpse of something darting across the room and wondered if you were seeing things? What is that strange, lingering, musty smell that you can’t find the source of? And what are those little rice-sized black pellets in the bottom of the drawer and under the microwave cart? The most likely answer is that you have mice. Once you know how to spot the clues they leave behind, it’s not hard to spot a mouse problem. Mice tend to use the same pathways as they travel through your living space and stay close to walls. They leave a urine trail behind, as mice drip urine constantly as they walk. They may clamber through drawers and even climb to scurry across counter areas if they find food there. The spots where they stop and eat are where you will find droppings. You may also see signs of gnawing on boxes or other food containers. But because they generally come out only at night, mice can go undetected for quite a while. They don’t need much food to survive and they can slip into small spaces. Unfortunately, they can use this time to breed and increase their numbers so that by the time you discover their presence, you could have a large infestation. If you suspect you have mice, it’s important to keep floors and counter areas free of food and food crumbs. Store your food in chew-proof containers and in high cupboards with doors that close. Mice pose many serious health risks and so, once discovered, it is important to act quickly to eliminate mice from your home. At AJB Pest & Termite, our trained technicians provide the best way to get rid of mice with pest control solutions that are both effective and safe for you and your family. Unfortunately, many of the methods that homeowners may use to try to eliminate a mouse problem are messy and ineffective. 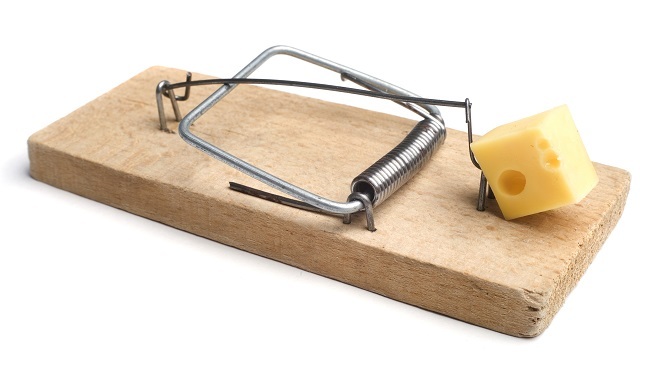 Even if you manage to trap or kill a mouse or two, it’s unlikely that your mouse problem is over. Remember, there’s no such thing as one mouse. If you see one, there are many more. If you have noticed any of the above signs or suspect you may have mice, contact us. We can determine if you have a mouse problem and eliminate it before it becomes an infestation.